Home Features Jesters Gala Party Night is this Saturday! Saturday, September 24th, is our Gala Party Night in the Aranda Ballroom at the Amari Pattaya, where it has been held since the event’s inception 6 years ago. The evening is a smart casual dress, sit-down affair with buffet, complimentary wine/ beer and entertainment. And, of course, this is another fund-raising event for underprivileged children in need of safe shelter, education and special schooling for the disabled. 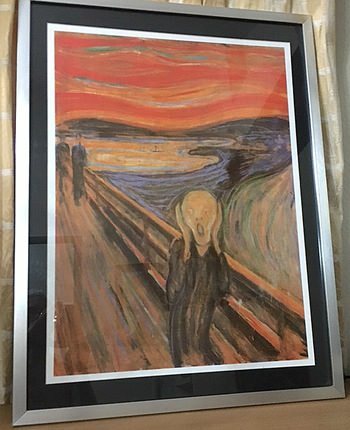 Auction item: Lithograph of Munch’s ‘The Scream’. One of the ways we will be raising funds on the evening, besides the 2500 baht charge of admission, will be via bidding on auction items. Only 8 will be auctioned live, while the remaining 5 items will be bid on silently. If you would like to make a pre-bid on any of these items, please go to our website and press ‘Auction’. The top 10 items for the auction and the current bids, as of Friday, September 16th are as shown in the auction to. The other way to help us raise funds on the evening is to buy grand raffle tickets on the evening during the festivities up until drawing time at 10:30 PM. We will then draw the top 5 prizes publicly and the rest will be posted on the screen. By the way, you do not have to be present to win; just be sure you have your name and contact on all of your tickets. The top GR prizes are shown in the raffle to. This year Tommy Dee will emcee and John Colling­bourne, the auctioneer. Headlining the entertainment will be Paul Jackson, a tribute performer of Freddy Mercury and who has played at Wembley more than once. Additionally, our host, the Amari Pattaya, is putting on a complimentary hors d’oeuvres and drinks for the reception between 7 PM and 7:45 PM before we go into the ballroom. Seats are still available, so if you want to come along too, please contact [email protected] or Call 08 6137 2184. For more information, please go to www.care4kids.info and www.facebook.com/jesterscareforkids. 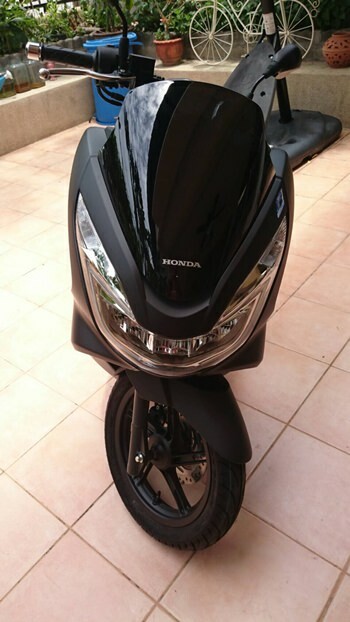 Top raffle prize: Honda PCX 150. 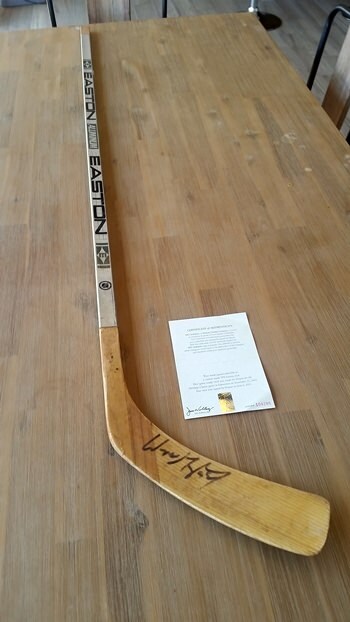 Auction item: Wayne Gretzky signed hockey stick with authenticity document.